Home Home & Garden Grow Lights Will a Normal Fluorescent Light Grow Plants? With the huge surge in popularity of LED grow lights recently, many people have been left wondering if those expensive hydroponic accessories are necessary. 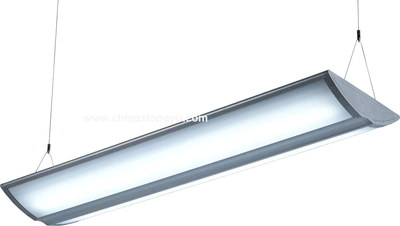 Many people, like you we assume since you have found this article, are wondering if regular fluorescent lights will work as grow lights in the same way all these fancy LED systems work. Do grow lights have to be LED lights, or can any light bulb work? The truth is that LED lights are popular right now for many reasons. 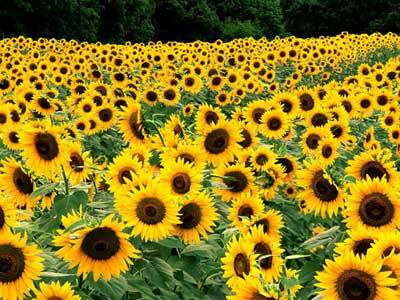 They use low energy, burn bright, last for a long time, and are easy to program for timed settings of light. However, they are not the only option. That’s right. LED lights are NOT in ANY way the only option for grow lights for indoor hydroponic gardening systems. What plants need to survive whether indoors, outdoors, or anywhere in between doors, is light and warmth. LED lights can offer this in many different colors and flashy systems. However, since plants are only looking for heat and light and don’t care about their carbon footprint, fluorescent lights work just fine as grow lights. In fact, before this recent trend of LED grow lights for indoor gardening purposes, fluorescent lights is what most people used for their soil free hydroponic gardening. Many people claim that fluorescent lights work better than LED lights because they can be places closer to the plant leaves to increase the photosynthesis, and are less likely to cause damage through overexposure. Most fluorescent lights are also white lights, which is the best color of light to use in gardening because white light is a composite of all the colors in the light spectrum, which means it offers to the plants all the benefits from each of the different colored lights in the light spectrum. It aids the leaves with the blue light, the roots with the red light, and the photosynthesis with the green light. There are some drawbacks with using fluorescent grow lights in hydroponic gardening instead of LED grow lights. Fluorescent lights will have to be replaced about once every two months if they are used around the clock like grow lights are supposed to be. This is a rapid burn out of the bulb as compared to LED lights that can burn continuously for years without having to be replaced. Fluorescent lights are also harder to control and put on a schedule. There are timers that can be used, but not all of them are compatible with regular fluorescent lights as most are made to work with LED grow light kits. This means you are more likely to have to control the schedule of your lighting times manually, which will require more concentration and effort on your part. 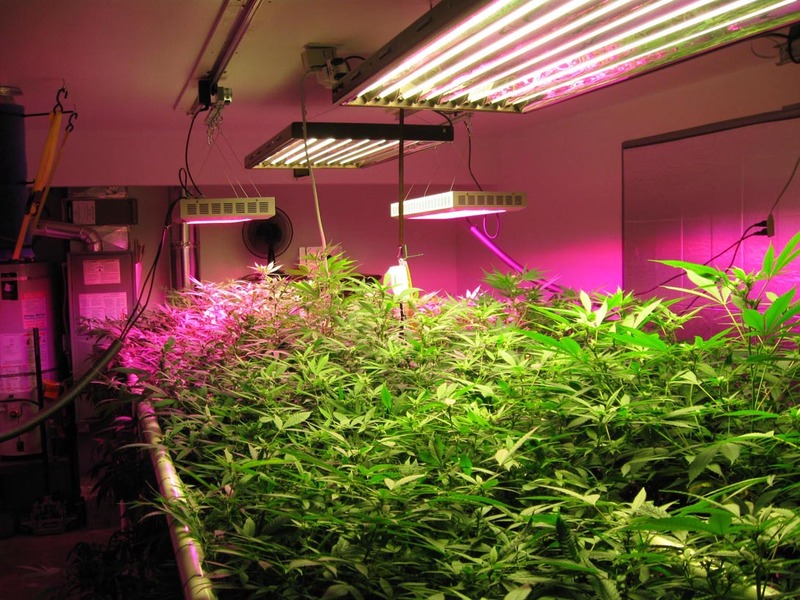 Fluorescent lights are also harder to find in different colors, so if you wanted to target certain parts of the plant to stimulate, that will be harder to do with regular fluorescent lights than with LED grow lights. There are some ways to counteract these negative parts of the fluorescent light system. To help with the replacement costs, you can do some couponing, stock up when there is a good deal, or supplement your growing light time with LED lights at times. To get some of the different controls light heat and brightness, there are ways to dampen the light and heat of the light. Simple filters and films can be placed over the bulb to control how bright or dim the light is. 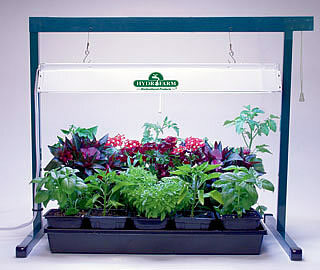 You can also place the light farther or closer to the plant depending on what the needs of your plant are at the time. In order to get the best control in these areas, you will want to place a thermometer in the hydroponics system to know how warm your fluorescent grow light is keeping the system. This will help you to best regulate your hydroponics system and keep from damaging your plants through overexposure, or dangerous temperatures. You will also have to remember that while fluorescent grow lights have to be replaced more regularly, they are not nearly as expensive to purchase as LED lights are. In fact, when you consider the initial cost of investing in an LED grow light system, it will usually take up to, if not more than 2 years of replacing your fluorescent bulbs in the grow light system to reach the cost of an LED grow light system. That is a long time, and you will not ever have to pay one lump sum to set up the system to begin with. Now, don’t get us wrong. We are not here to say that there is anything wrong in using an LED grow light system with your indoor hydroponic gardening kit. We just want you to know that there are other options out there, and the fluorescent light option is a good one in many ways, including monetary, which is important to most people. Usually when people decide to start soil free hydroponic gardening system it is because they want to live healthier and have affordable fresh produce all year round. Affordable is a key word there. While LED lights are wonderful for indoor gardening grow lights, they are not generally seen as affordable. Fluorescent lights are, and they will work just fine. So, there you have it. The answer to the question of, “Will a normal fluorescent light grow plants?” is a resounding, ‘YES’. They will grow plants, and they will do it well. There is no reason to fret or save your pennies for an LED grow light system if you already have access to a fluorescent light to use. Hydroponic gardening is not something that has to follow one specific recipe in order for it to work well. There are a myriad of ways to find success with it. LED lights can be part of it just as easily as fluorescent lights can be. Previous articleWill a 4200k mh Light Bulb Work as a Grow Light? Next articleWhat is the Cheapest 1000 Watt Grow Light System?